S L Boiler Installation - Central Heating Engineer based in Gosport, Hampshire. Welcome to S L Boiler Installation. Firstly, I would like to thank you for searching us. 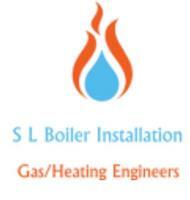 We are Gas/Heating engineer's with over 10 years experience. Quality, Honesty & Reliability = Perfection. This is how we work as a partnership.
. Specialist in Worcester Bosch boiler breakdowns's. All Installations are to manufacture's Instruction to ensure we do the job right first time. S L Boiler Installation Offering Quality Boiler Installation's Up to 10-year warranty's (selected boilers) throughout the South of England. Gosport, Portsmouth, Southampton and Hampshire. We are very proud of are company! We have worked so hard to ensure are customers get a professional job first time.The thing is we both love are jobs and this is what that count’s.